If your kids have access to any kind of digital screen, you probably think they’re addicted. After all, it seems almost impossible for them to stop watching, playing, or texting. But signs of screen time addiction are actually distinct — and they aren’t necessarily tied to how much time your kids spend on their smartphones, tablets, or computers, say researchers at the University of Michigan Center for Human Growth & Development in a recent study. 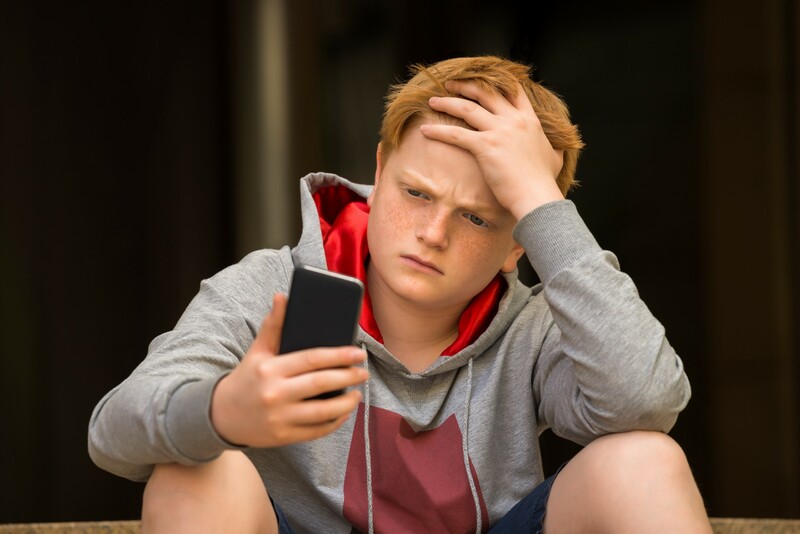 Instead, it’s how kids use their devices that’s the strongest indicator of whether they’re having emotional or social problems connected with screen addiction, according to the UMCHGD scientists. Domoff believes the study is the first tool in the U.S. to measure screen media addiction in children ages 4–11. It could also change how parents think about monitoring screen time. You might be more flexible with the amount of time you’re allowing your kids to spend with their gadgets as long as you don’t see these problems crop up. Track how much time your kids are spending on their devices and give them the tools to monitor their own usage so they get better at time management. Awareness of time spent is the first building block. Our Kids app shows kids how much time they’ve spent online and on which apps. Meanwhile, our Parental app lets parents limit overall entertainment screen time on any device with a couple of clicks. Have a real conversation with your kids about the content that they’re consuming so much and why they’re so obsessed with it. It may help you understand their motivation and figure a way to offer an alternative. Similarly, if your kids don’t seem to think about anything else besides screen time, you’ll want to find out why. For example, they may be obsessed with checking social media because they’re getting bullied at school or going through some other trouble that they’re hesitant to talk about. Put firmer boundaries on when your kids can use their devices, especially during family meals or other important events. Set schedules for screen time use. Make times when everybody in the family (parents included!) must be device-free. Sit down with your kids and explain how their behavior is affecting the whole family. Encourage better behavior by trading more time doing chores or physical activity for more time on their devices. Get everyone to sign a Family Media Agreement for responsible screen-time use. Organize activities where your kids can be social with their friends and family members — without having to be on their phones. This might be going for a run or a hike or a swim, or some other physical activity where it’s hard to check your devices. It’s especially powerful if they earn something they want (more screen time, of course) while doing the activity. How unGlue can help: Steps for Time. Let your kids earn screen time while getting in more physical exercise. Helpful tip: Kids must learn that time is limited and comes with some cost. Alerting your kids before they run out of their allotted screen time helps them adjust and keep to a schedule. If your child is determined to sneak around your rules, they’ll probably find a way to do it. The best approach is to involve your kids in deciding how much screen time they should have so they don’t feel tempted to go behind your back. Give your kids more tools to be self reliant. Encourage them to use their imagination rather than relying on media to entertain themselves, such as through play and games that don’t involve high technology. Raise your kids to love to read so they’re not always seeking out a screen for entertainment. How unGlue can help: Our Entertainment Time feature bundles “fun content” together in a single bucket so you can simply turn it on and off, depending on your child’s schedule. Need to do homework? Sure. Want to spent time on Entertainment? Nope.